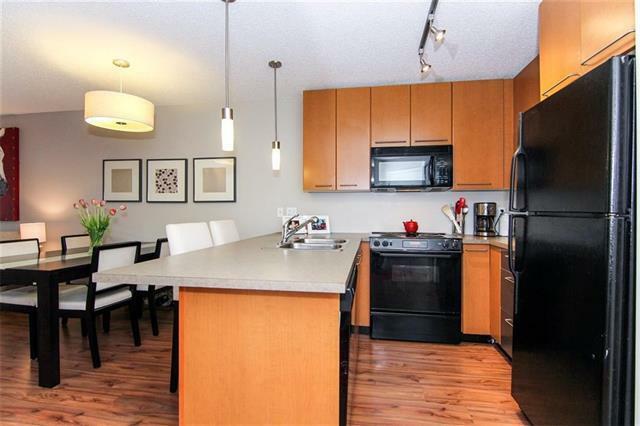 Beautiful one bedroom plus den condo that shows amazing pride of ownership, just steps away from MRU. 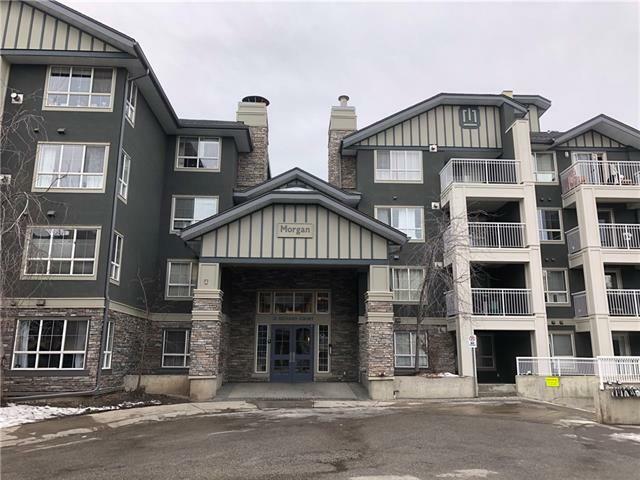 This gorgeous condo has been meticulously maintained and features the biggest floor plan in the building for a one bedroom unit. 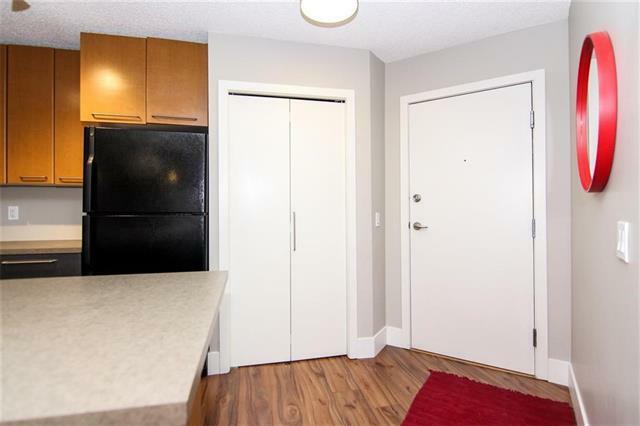 New laminate flooring, paint, open concept kitchen, spacious den, gas fireplace, new tiled tub surround and much more! 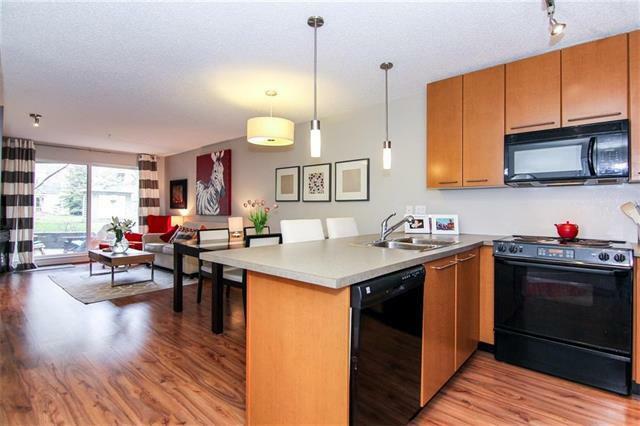 Quiet unit that walks out to an amazing patio overlooking the west facing courtyard and gazebo. Amazing value in the Morgan which includes a gym, owners lounge, movie room, guest suites, additional storage and heated underground parking.